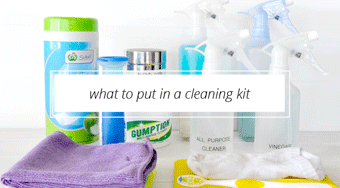 Cleaning is certainly one of those tasks we all dread having to do and I’m always after tips to help make the process quicker. After all, we have better things to do with our time than clean. 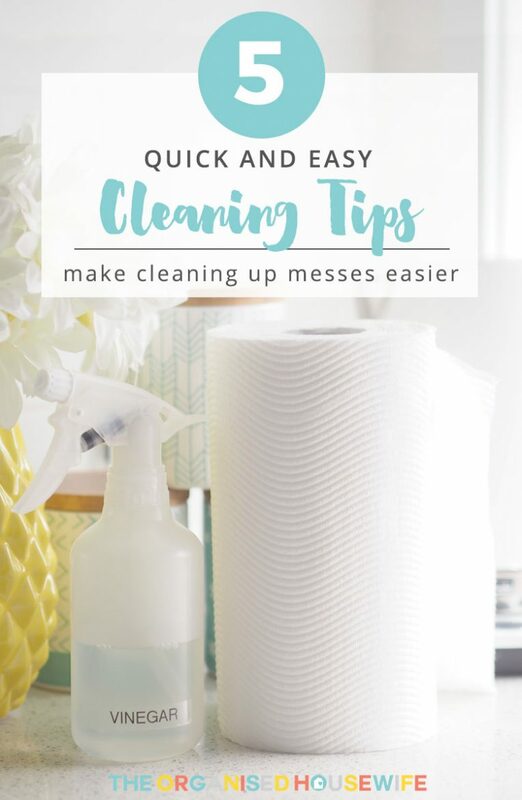 Here are a few helpful tips to make cleaning up messes easier and less frustrating; they also use budget-friendly products too! I’ve put together some quick and easy cleaning tips using paper towel. I have used VIVA® Cleaning Towel since they came onto the shelves 15 years go, purely because of its quality and versatility. So much so, one sheet can clean up more than you can think. The most common place I use a paper towel is in the kitchen. I use it most frequently to clean my stove top when I have made a big mess (you may not know it, but I am a messy cook). I fold one sheet into quarters, spray the surface with my all-purpose cleaner and wipe over the oil splatters using two of the folded sides. I then spray the surface again and wipe with the clean sides to buff the stove and make it shine! One sheet can go so far as it’s ultra absorbent and strong. VIVA® Cleaning Towels make cleaning easy and you can use them any day for any mess, inside or out, wet or dry. The Tough Wave texture is a unique technology of deep wave-like channels embedded in the sheets that provide all-in-one absorbency, thickness and toughness. You’ll be pleasantly surprised by how often you can reach for a sheet as they are so versatile. 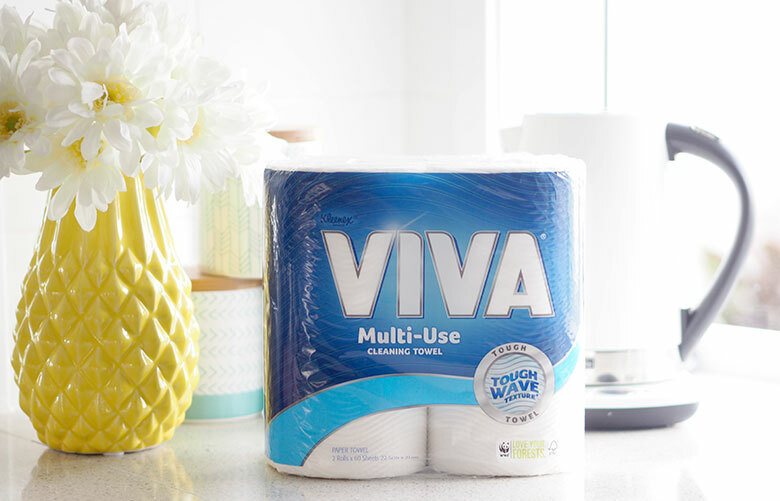 But they are not just built for the kitchen, you can use VIVA® Cleaning Towel for all messes throughout the house from A to Z. I’ve teamed up with VIVA® Cleaning Towel to share some helpful cleaning tips with you. B is for BBQ. To clean up oil splatters and, as VIVA says in the video below, caked on gunk!! I prefer to use paper towel on the BBQ rather than a cloth, as it absorbs oil really well and the wave texture helps to pick up any leftover burnt crumbs. 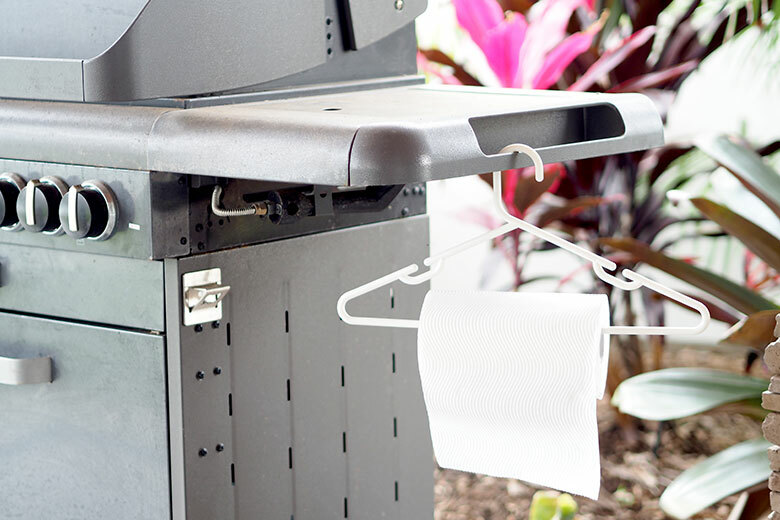 Keep paper towel nice and close to the BBQ for quick an easy access for cleanups. Just snap the bottom bar of plastic coat hanger and thread on the roll and hang off the BBQ. This is also a great hack for the bathroom to clean up messes and avoid getting makeup over your towels. E is for erasable markers. Can’t remove the marker from your white board? Sometimes this happens when the erasable markers get old. 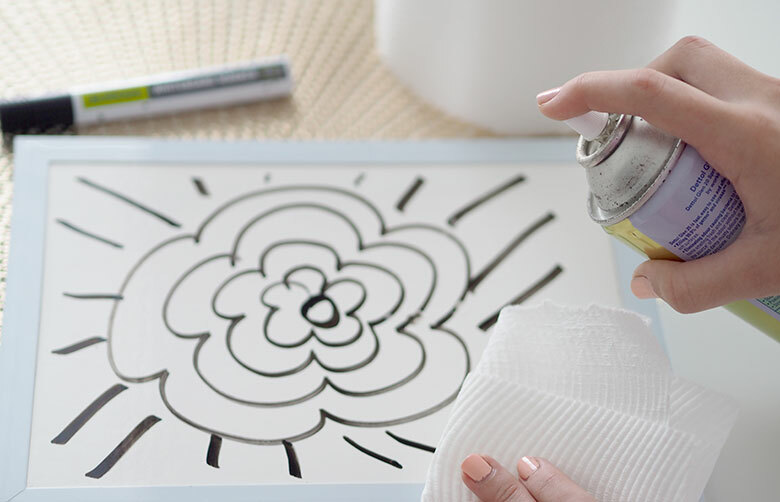 Use air freshener and paper towel to clean the whiteboard and remove any dried erasable marker ink. The wave texture on the paper towel helps to pick up the dried on ink. Spray the board and wipe, it also helps ‘recondition’ old and dry erase boards. P is for pet puddles. Use paper towel to absorb up accidents your pets make in the home on both hard floors and carpet. I use VIVA® Cleaning Towel to absorb puddles on carpets. DO NOT RUB the area! Dab/blot with paper towel only to absorb the puddle. Rubbing will damage the carpet pile and can spread the stain further. 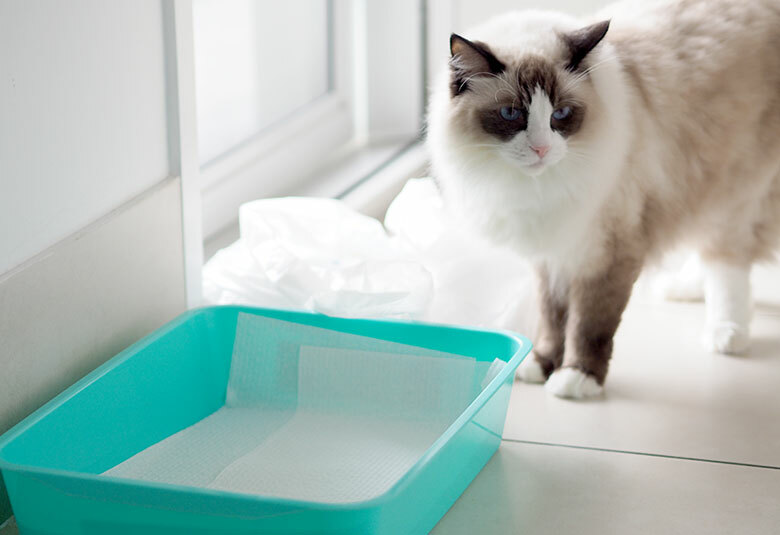 Plus, catch any leaks in your kitty litter tray by placing paper towel under the plastic lining. When you pick up the lining you won’t have any surprise drips…. eww. As the paper towel soaks up these drips, it makes this ‘not so nice job’ a little easier. 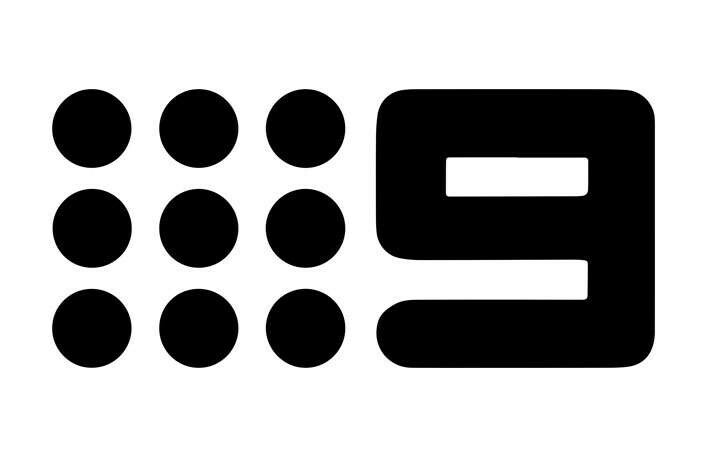 S is for sticky residue. Struggling to remove a label and can only peel off half? This is a great hack to help remove the leftover sticky label. Blot some eucalyptus oil on a paper towel and wipe the paper towel over the sticky areas. Allow to sit for a few minutes, then peel away the rest of the label. You can also use this method if you find sticky areas on the floors or drips on kitchen cupboards. The eucalyptus easily removes the adhesive, whilst the paper towel lifts the adhesive away from the surface. T is for taps. Soap scum at the base of taps can be hard to remove. 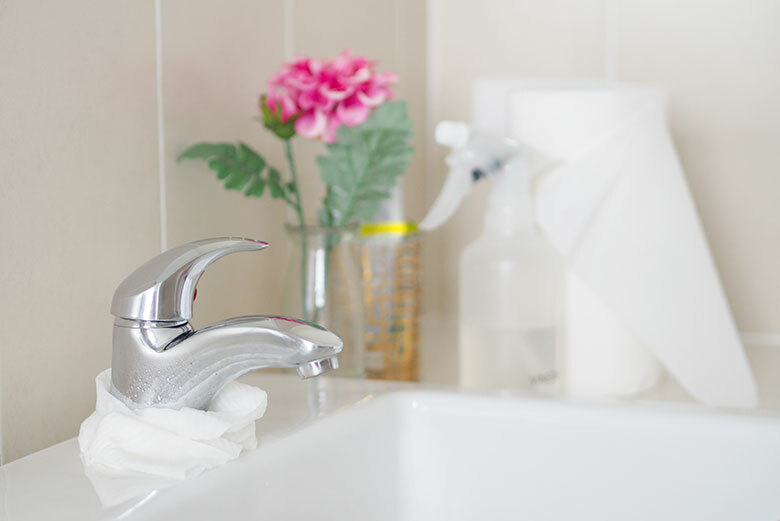 Wrap vinegar soaked paper towel around the taps to help remove any stubborn soap scum build up. I spray the tap with full strength vinegar, wrap the towel around and saturate it in more vinegar. The paper towel is strong and won’t break down. Allow to sit for a few hours and then use a toothbrush to pick up any stubborn scum. You can then use the same sheet to wipe away any of the soap scum. C” IS FOR CLEANING AND “T” IS FOR TIP. DO YOU HAVE ONE TO ADD TO MY LIST? W is for window. I use a paper towel and my trusty vinegar and water solution to clean my windows, and mirrors. Simply spray your window/mirror with vinegar/water (I use a half and half ratio), then wipe clean using paper towel. I find wiping in a circular motion works best. B is for Bacon or Beef. I use paper towels to drain the fat from bacon and ground beef after cooking. 🙂 Seriously…when I read where people have given up using paper products, I wonder how in the world do they drain the fat from their bacon?? I would hate to live in a world without paper towels! Would love to win these!! 🙂 Enjoyed this post…will have to give the vinegar and paper towel treatment a try! Oops! Just saw the rule about Australian residents only. Sorry!! A damp viva can effectively pick up dust. Rinsed under the tap, it can effectively pick up dust again…and again. H – is for highchair which I feel as though I clean 300 hundred times a week – I prefer to use a paper towel rather then a dish cloth because I know it’s fresh clean to wipe the eating tray and I can also clean the mess on the floor! S is for Sewing. When working with difficult fabric, such as a leather that might get marked by the feed dogs or won’t glide through the sewing machine easily, or, say a chiffon that’s so fine it gets caught or pulled into the machine damaging the fabric. I like to put paper towel under the garment I’m sewing. It stabilizes the fabric and is easy to stitch through plus when I’m done I can just tear it away with no trouble. It also make for good pattern prototypes. Instead of cutting into the expensive fabric right away, I can use the paper towel as ‘fabric’ first as the sample. It has a much better drape than newspaper and can me manipulated far easier. A good way to test before the real thing. V is for vinegar. Add a splash to your viva paper towel and you can tackle any mess! B is for Baby. I use these to clean up my 11 month old twins after they eat. 1 sheet easily does both girls and both highchairs! L is for Lining containers. I have a sheet in the bottom of my square Tupperware Modular Mate that stores my food colourings and essences, and now a new one with my essential oils! No mess if a little drop escapes! C is for compost. After any cleaning job I can toss a paper towel into the compost! Win for me and the environment. E – is for eggshells and veggie scraps which are held (no leaks!) perfectly by a single viva square! Clean up is easy at that point. D is for Dirt. Use one Viva Paper towel and wet an edge a little then place it on the floor and sweep any messes onto the towel. The paper towel sticks to the floor and it is then easy to wrap up the dirt and throw in the bin. L is for Lettuce – After you wash and spin dry your lettuce, pop it in a plastic bag or container with a piece of Viva Paper Towel. This helps absorb any excess water and keep the lettuce crisp. T is for toddler stickiness- pop some Viva wet paper towel in a snap bag to carry and clean up the ‘how are your hands sticky/dirty/sandy/crumby again?’ throughout the day without harsh chemicals. L is for Line. Use Viva paper towels to line things where leaks or messes could cut. My oil storage area in the kitchen, the cupboards in the bathroom, a painting area for the kitchen kids…. then whip it away if a mess occurs. C is for crisper drawers in the fridge, which I line with Viva paper towels for when the veggies go squidge. Q is for the QUICK way VIVA paper towels clean up all those queasy jobs at work, at home and everywhere. L is for lettuce. I wash lettuce (though not iceberg) then line a large plastic container with at least a double layer of kitchen paper. Place drained lettuce leaves on top. Then top off with another double layer of kitchen paper. Place into fridge to keep. This way the lettuce lasts for ages and you only need to remove a bit of the stalk end prior to use. On the lettuce I omitted to say cover plastic container with a lid after the second layer of kitchen paper befire placing in the fridge. C is for covering over food that will explode all over the inside of your microwave when you reheat it! W is for Windows – paper towel is the best cloth to use and no streaks. Spray with water and white vinegar mix and away you go! W is for Washing Line – with a bit of spray and wipe on a Viva wipe I clean down my washing line easily before hanging my clean washing to dry. F is for Fridge, we line our fridge draws with VIVA paper towel so it soaks up any moisture in our fruit & veg compartments, this lasts for quite a while. Another benefit to this is you don’t need to clean any mess that might appear from a lost item somewhere in the deep that has lost all life & decided to start leaking!! L is for lettuce to help soak up extra water after washing and no need to spin dry! P is for my Puppy Penny, who can leave little puddles… how perfectly precious is she? H is herbs. I moisten paper towel and wrap my freshly picked herbs. V is for Vomit! I use reuasable cloths wherever possible, but the cat and non-furry family do get sick sometimes. No spills, tearing or rinsing with Viva! V is for Vomit! I use reusable cloths wherever possible, but the cat and non-furry family do get sick sometimes. No spills, tearing or rinsing with Viva! I is for ironing. Use Viva sheets as pressing cloths. 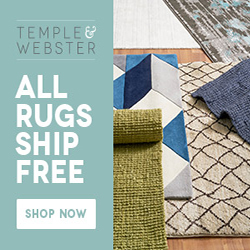 As a quilter I have used them for this purpose for years. You can waterproof material simply by laying the material on top of several sheets of Viva towelling, then carefully lay clear contact over it. Lay more sheets of Viva over this and iron over it lightly. It’s a fun way to make your own placemats using Viva paper towels? B is for Baby! I use Viva to make my own baby wipes! Cut a Viva roll in half to make two batches. 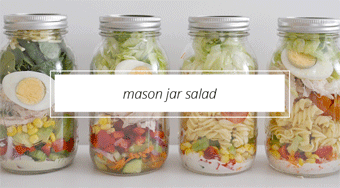 Place into a plastic sealable container. Combine coconut oil, a dash of baby bath wash, hot water. Pour over the paper towel and remover the cardboard roll and there you have it! Pull out the ‘wipes’ from the centre. F is for fat in the fry pan not flowing down the sink to fowl our fish the waterways. Simply wipe the fry pan with a paper towel while still warm. Use a pair of tongs or spatula to move the paper towel around so you don’t burn yourself. Good for the environment and so easy for me. B is for Beetroot. I put slices of beetroot on the paper towel to dry it out so it doesn’t make the bread on your sanga go soggy. B is for Buttercream… I use Viva paper towel to rub away imperfections in my buttercream after chilling my cake and before covering with fondant. Helps to achieve a professional finish without any trapped air bubbles. A is for Accidents! As children grow and learn there’s bound to be a trail of mess left behind. Whether it’s helping my little one through toilet training accidents, encouraging my eldest after exploding science experiments, or helping my children clean after a cooking calamity, Viva paper towels makes the job so much easier. It even makes for a calmer parent 🙂 Accidents are inevitable but cleanliness can still prevail with the help and ease of Viva paper towels! Wet Viva Wipes only enough to moisten. Fold up and put into ziplock bags to take with you on trips to keep little hands clean. You can also use some eucalyptus spray for more cleaner, fresher hands. I use it for cleaning my stove top, my kitchen counter, for soaking up grease from cooking bacon and other delicious things, I use it to clean my bathroom – counters, floors, you name it. I can get my sink stunningly clean with just one wet piece of paper towel! I use it for spills – especially when my 5 year old somehow gets food or milk all over the floor at breakfast time! I use it to dust my furniture. I use it to remove nail polish even though everyone else uses cotton wool which just tears apart and sticks to your nails. I use it with some special spray to clean my computer, tablet and TV screens. I’ve used it to clean my glasses. My windows. The splash back tiles in my kitchen! I could probably go on and on! M is for Mirror. Viva and my glass cleaner and it’s bye bye toothpaste splatters and yucky water marks and hello crystal clean reflections. T is for Three Toddlers… they clean up after everything! 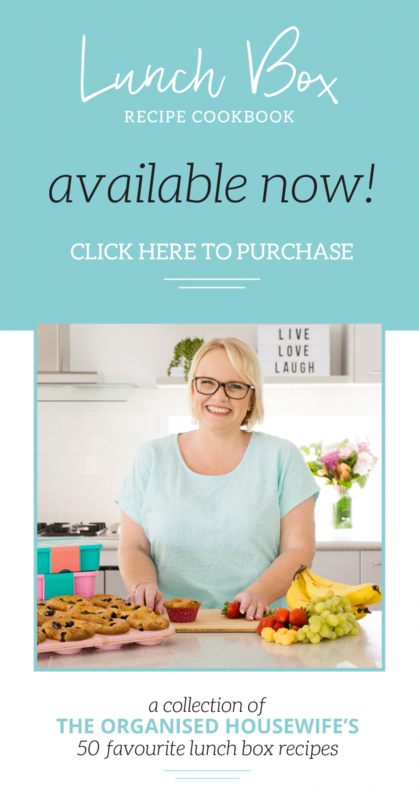 From the toilet training accidents to the after meal mess! F is for floor. Paper towels make cleanimg up small spills in the floor easier. If needed, I use a littlw bit of my white vinegar and eucalyptus oil solution. C is for cake. Viva is the best for smoothing buttercream to get it ready for fondant. A is for absorption, to soak up oil in the pan after frying, instead of rinsing it down the sink. mess, E=environmentally safe,F= Fail safe,G=Glistening taps & counter tops, H= housework time halved,I= ingenious, J= Just 1square needed, K=Kitchen cleaning a breeze, L= Lettuce drained nicely,M= Mess eliminated , N=Nice 1Viva, O=ovens wiped out effectively, P=Priced reasonably, Q=Quick to use, R=run for Viva if there’s a spill, S=Single use, T=Tough to use twice, U=uses are many, V= Viva is no1, W= Wipe away, then throw away, X= Xteodinary!Y=Yuk is more& Z=Zealous to clean everyday. Need I say more. Next time won”xterm you clean with me. M for mun and magical viva pepper towel . I keep a roll in the car to clean little and big hands , snack spills, snouts, tears, even my dusty or foggy windscreen to say the least even to write a note to my hubby to say I love you or to do a chore . T is for toilet. I wipe toilets down with homemade cleaner sprayed onto a paper towel. Cleans well & all germs are thrown into the bin. F is for fat as they are amazing to soak up any extra fat when cooking! S is for spills, use them to wipe up anything. E is for everything! I seriously use them for anything and everything all through my house! I love using the abcd method of cleaning. A is for “activate” your Viva Towels cleaning potential by wetting with a little water. It is amazing how well it cleans with only water. B is for benches, basins, and boots as well as baby, bikes, and books. 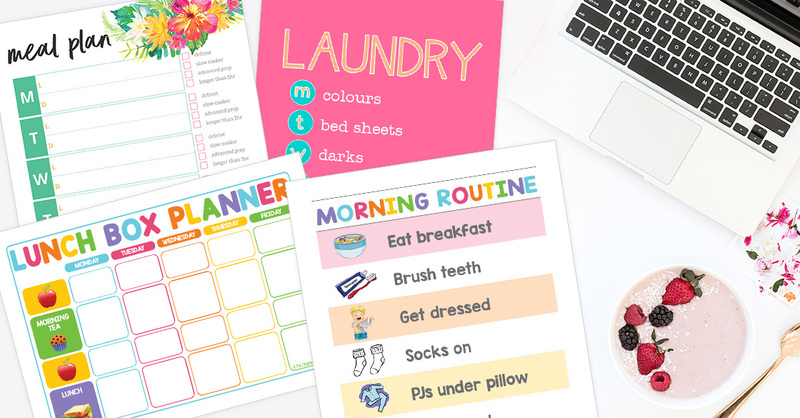 All the little things in a busy mum’s day that require Viva Towels better quality to clean wet. No other paper towel does it so well. C is for cooking, cleaning, cars and carvans, computers, carpet, crates and cats. Cleaning as l cook helps reduce mess when the chef in you needs a clean work bench. Also great and safe damp to get rid of “dags” from your ragdoll kittens behind! And finally D is for a dash of vinegar to increase Viva Towels cleaning ability. I like to have a little bucket of 50/50 vinegar and water and my trusty roll of Viva Paper Towel beside me as l clean and dust my way around the house. It makes my day run smoothly so in no time the cleaning is done! S is for Softening hardened brown sugar. This is a new use for a paper towel. Simply place a damp paper towel on top of an open container of hardened brown sugar. Let sit overnight and like magic the brown sugar will be all nice and soft again and ready for your baking adventures. 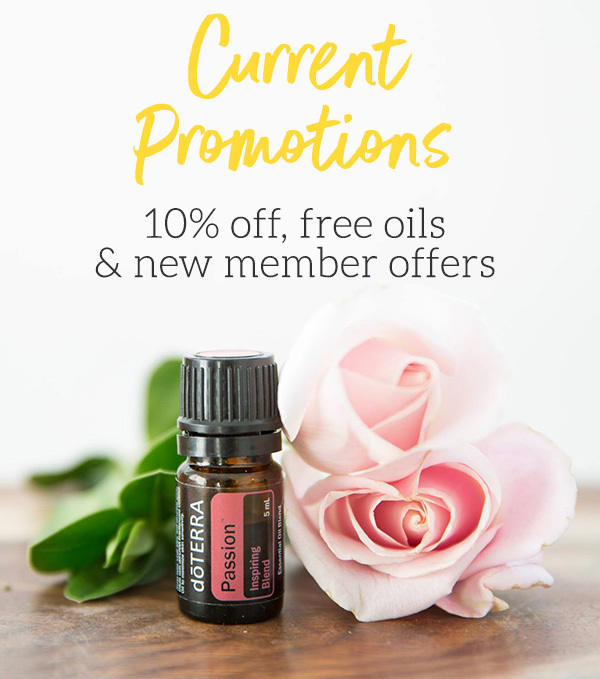 I’m sorry, but I feel you have moved your focus on trying to help us get organised to product promotion. I clicked on this link thinking I would get 5 new ideas on quick & easy cleaning tips, only to find you promoting a specific brand of paper towel. All these tips can be successfully done with a microfibre cloth, or any half decent brand of paper towel. 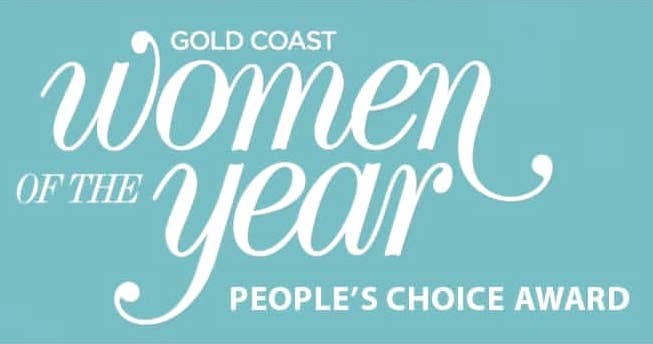 I do get that this is simply a competition, but I wish you would have promoted it as that on the first link. D is for dog – great for a daily wipe down especially during the colder months when washing and getting them dry can be tricky. Wet for a quick clean and dry to finish up. I have previously used them with a little dog wash if extra dirty! V is for VIVA keeping it clean! My ABC for a clean kitchen is A) use VIVA paper towel B) use elbow grease and C) clean that mess away! C my paper towel tip, place VIVA under the kids cereal dishes instead of place mats, makes cleaning a breeze, just roll up and through away with any spilt cereal and milk all contained. F is for Fish Tank – Use VIVA Multi-Use Cleaning Towels to wipe algae off the fish tank when cleaning it (needs to be done every fortnight). With other paper towels, I would have to do it at least twice until the glass was clean, but VIVA towels do it in one go and are so absorbent. They also don’t break apart easily when wet. V is for vomit, whether its baby, dog or cat vomit, paper towels clean it all up. G is for grease, paper towels are ideal for wiping up around the cooker hob to wipe away splattered grease. S is for spills as paper towels are great for soaking up any kind of spillage around the home. C is for cheese, a great big kilo block. So it doesn’t go off quickly or grow mold on it, wrap uneaten portion in two paper towels, then in an airtight bag or cling film. Gives it a much longer life in the fridge, that’s for sure, the paper towel removing the moisture from the product, protecting it. Replace paper towel each time you use the cheese. R is for Rewards Chart. Wet or dry, my Viva towels clean off the week so we can start again. V is for the kids vomit on the floor that I have to scoop up with my Viva towels. 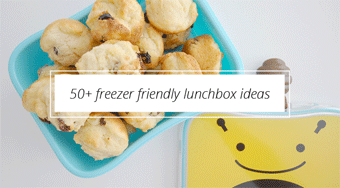 L is for lunchbox. Put a piece of paper towel into your kids lunch box so when they are eating their juicy pear or orange they can wipe their fingers and it keeps their lunchbox clean. B is for bread. If you’re a family who goes through many loaves per week, opting to freeze them on shopping day. Place a paper towel into the loaf bag prior to placing it in the freezer. When you take it out to defrost, all the moisture goes into the paper towel, not your bread. Nice fresh loaf, without any slushy sloppy bits, and it prolongs the life of it too once it’s defrosted, IF it lasts that long!!!!! P is for Puke. I will use paper towels to scoop up all the big, chunky bits, followed by laying them down to absorb the remainder for half and hour or so – great when your husband has had one too many. J is for all the glass hard and bottles! We use a paper towel stuffed inside each container with a small amount folded over the top on the outside! Screw on the lis and all your glass jars and bottles will always be dry and ready to use! Beat Trick! G is for glasses. Viva las glasses!!!!! Best thing for cleaning my glasses. Bit of vinegar on the Viva.. and they shine brilliantly. Also put a bit of vinegar on one, fold it up and keep it in a snaplock bag for emergencies. Great in the car and the handbag. Z is for ziplock bags. Wet several Viva towels and put them into a ziplock bag to freeze. Pack them into your child’s lunch box or picnic basket and enjoy a day at the beach. Not only do they help keep the food cold, but you have refreshing wipes to clear the sand from your hands and face before you eat. W is for washing machine, when I use my washing machine to clean my dogs blankets, toys, towels or coats, I wipe the inside of the machine and the door with a paper towel and it collects all the dog hair that was left in the machine – easy. S is for strawberries. After rinsing fresh strawberries, I store them in a container in the fridge. I find that placing a piece of folded paper towel on top of the strawberries helps them stay fresh longer. 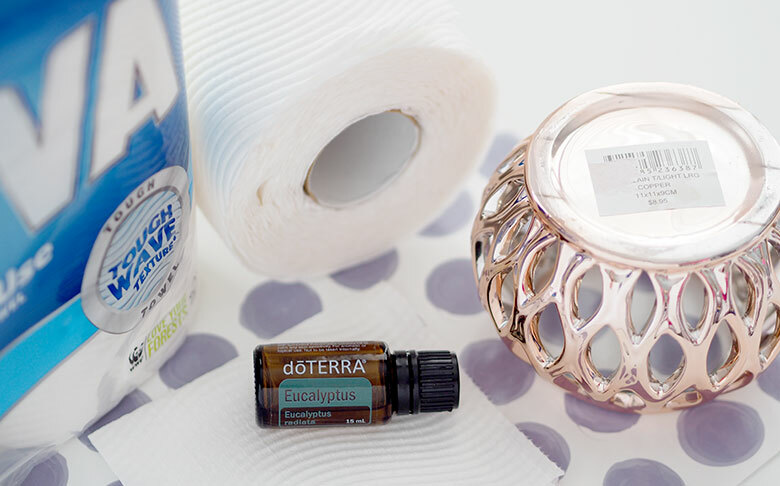 P is for POOP..When the Cat and dog makes a mess, Paper towels and deodorant come to the rescue! Put a bit of sheet of paper towel in the bag/container of veggies to absorb condensation; I’ve done it with lettuce, cauliflower, sprouts, broccoli & herbs. Also works well with berries! O is for orange juice, spilt and the orange juice from cutting up an orange. Grab your paper towel add small drops of water so as no sticky residue and one wipe and all cleaned up. Then you can use your homemade antibacterial wipes and your bench is sparkling and smelling nice and clean. M is for Microwave – I like to make quiche (a crustless version that is basically embellished zucchini slice) for my lunches through the week but and if I put some paper towel under whatever I’m reheating, I’m left with a tasty and warm meal not a soggy mess. HAS to be Viva too – lower quality paper towels either don’t absorb as much liquid or worse, stick to my lunch! F is for lifting excess fat or oil from the top of stews etc. Viva are the only bottom friendly wipes I can use on both my babies sensitive skin. Suffering genetic eczema, I have to be very mindful of what products I use to clean my babies tooshies. With a jug of boiled water, a spoonful of coconut oil, and a roll of Viva paper towel – I can rest assured knowing nappy changing time is tear free and no longer a painful task. S is for Science – I use it to get my students enthusiastic about learning – showing them about properties of liquids and absorption rates – using bright colours, liquids and VIVA!!! M is for microwave, I place a paper towel over whatever is being heated up therefore stopping the splatter before it gets all over….. prevention is better than cure! E is for EVERYTHING! What doesn’t VIVA papwer towel not clean up? Kitchen grime, floor spills, fish tanks, windows, toilets, wet dusting, car windows, microwave spills, kids grubby hands, cupboards, walls, handprints and more! I love the absorbancy…..I’m yet to find another brand that performs better. M is for microwave meat pies. Take two pieces of Viva and use to wrap meat pie (one is not quite long enough). Microwave for three minutes straight from freezer (depending on microwave strength). Easy, quick snack option. Viva absorbs excess moisture from the cooking pie and make it yummy. T Is for sandwich toaster. I use it to mop up all oil and grease from the surface immediately after use. Keeps it clean and looking as new! B is for baby- to help protect my baby’s delicate bottom I make chemical free baby wipes Using Viva paper towel along with boiling water & coconut oil. B is for baby wipes. Cant go past home made baby wipes. This is the only paper towel i have found that stays together to make the wipes. B is for Barney my dog! When we go walking in the wet weather his tummy and legs always get wet . I use Viva to wipe his belly and paws off when we get home. I used to wipe him off with a towel but then I had to wash and dry the towels and in winter the towels take so much longer to dry & I don’t have a dryer! Viva absorbs all the water quickly from Barney’s paws and fur and then I can throw it away. Beautiful dry dog! E – is for EVERYTHING! with it’s strength and absorbency, use dry or wet! no mess remains, from A through to Z! R is for RE-USE. Viva paper towels are stronger when wet, allowing me to clean, rinse and use it a couple of times! B is for BABY WIPES! I use Viva to make nasty-free, CHEAP baby wipes – coconut oil + organic baby wash + essential oil + hot water! I love my homemade wipes better than bought ones, and my little one never has nappy rash 🙂 Been making them for over a year and I LOVE them! ?? M is for Microwave. I use 3 Viva paper towels fanned out on my tray in the microwave to absorb any spills. I change them as soon as they’re messed. It saves alot of cleaning time! It also doubles its worth to absorb any bad smells that can often accumulate in there! E is for EVERYTHING! … I use VIVA paper towel to clean eerything in my house! My hubby is forever joking at me, he thinks I have a huge obsession with paper towel, because I keep about 10 packs stocked most off the time! I am also an scrapbooker, mixed media artist & paper towell is also on hand in my art studio, whether it’s for mopping up paint spilt, to drying paint brushes, I even hang the used painty paper towel to dry and use the dried up painty paper towel as a embellishment in my art! F is for fridge. 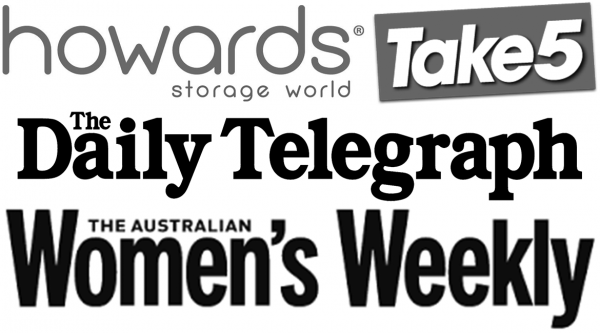 Every year Australian households throw away fruit & vegetables that have deteriorated in the fridge. I think we’re all guilty of this! Money wasted and oh, the shame!!! Lining the bottom of your fridge vegetable crispers with Viva paper towels prolongs the life of your fruit and veg by absorbing moisture & keeping them fresh and crisp! Viva towels help the environment AND your pocket! P is for Poo explosions- We use Viva towels when poo explosions happen and we have to clean car seats, furniture or floors! Clearly a little rough dry for babies bottom however if dampened it’s easily and amazing substitute for baby wipes! D is for daily use! We also use Viva wipes as a daily use for almost everything! From dusting, to drying lettuce, soaking up oil after cooking food (placing cooked food onto Viva towel to draw out some oil), cleaning up nasties and so much more! They leave a streak free clean when cleaning stainless stell as well ? F is for Family. If I wanted a perfectly clean house having a family wouldn’t be possible. Since I cannot live without my family, the paper towel keeps this uber cleaner sane. Paper towels clean off grubby fingers that enjoyed playing with mud, wipe away favourite dinner crumbs from smiles and tables, mop up accidentally spilt drink by a very sorry boy, and sparkle and polish away jam hand prints from windows we need to let the sunshine in. Bless paper towel so I can enjoy being a mum, a wife and a homemaker. O is for Oven when I need to clean up any spillages or mess after cooking. Paper towels work better than cloths and are easily disposable . L is for Labrador replacement. Very sadly, last year, we lost our 15-year-old Labrador, Missy. She was our chief dropped-egg-cleaner-upperer. She would follow the children (of which there are four) from the chookpen to the back door in the hope of a dropped egg snack. Missy was called in for cleanup whenever the kids closed the fridge door too hard, causing an egg to roll out of its holder and balance precariously between the inside of the fridge door and the shelf, awaiting the next door opening before splatting on the floor. She was there for the learning-to-cook “oops, the egg rolled off the bench” moments, and my own fumble-fingered culinary mishaps. Although Viva might not lie across my feet in winter, or lick me up the face while I pull on a running shoe, it sure can clean up a dropped egg like a Labrador. M is for microwave! I lay a sheet or two of paper towel on the microwave turn table for EASY clean up. V is for vomit – either my dog’s or kids. It is strong enough that it does not leak when cleaning up. Z- zippers all shiny and clean. A-z of how you clean with chuck away paper, Viva nothing compares. B for bin. I put 2 sheets of viva in the bottom of the bin with a few drops of eucalyptus oil and then the bin liner on top. Smells better than garbage and lasts a long time. Occasionally i put a few top up drops of the oil but viva just lasts a long time. Garbage smell vivafied!!!! M is for microwave keeping it clean by using 2 sheets of viva paper towel placed on the turntable, just incredible the amount of time it saves when you replace the soiled viva towel with clean sheets. No need to do a full clean on microwave so often, never ever without my viva towel. O for Oil Spills. I use a sheet as a place mat for my oil bottles. There are always drips no matter how neat you are.